Gotcha! 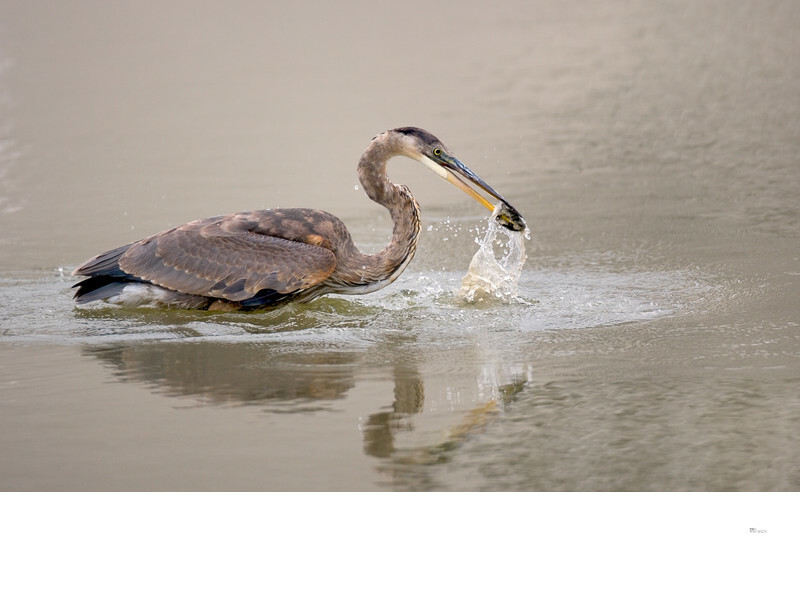 - Birds - Kates Nature Photography, Inc.
A great blue Heron catches a fish after diving underwater. Rather than picking at the fish, the great blue heron will swallow the fish whole and continue fishing. Location: Fermi Laboratory, Batavia, Illinois.